You don’t need a disastrous, immediate event to bring about the end of the world. Sometimes you just need evolution to take its toll. That’s according to a new study published by Vanderbilt University, which looks at the Earth’s first mass extinction 540 million years ago and puts the blame on not something like a comet, but on the rapid evolution of species that drove older organisms to extinction. Early life on Earth was simple: single-celled organisms evolved into multicellular organisms that were mostly immobile and lived in the water. However, the scientists highlight a 25 million-year period called the Cambrian explosion that saw an almost literal explosion of new life in the form of more complex creatures. These were species similar to more modern animals, such as anthropods, jellyfish, and vertebrates. They changed the environment so drastically that it caused the extinction of previous life. The team, led by Simon Darroch, an assistant professor at Vanderbilt, came to this conclusion by examining fossils that were found in Namibia. The results, published in the journal Palaeogeography, Palaeoclimatology, Palaeoecology, show a mix of Ediacarans (one of the first examples of multicellular organisms) and newer species, leading them to believe that there were close associations between them in the timeline. This evidence is a follow-up of a previous study published by the team in 2015, which first affirmed this hypothesis about the first mass extinction. By comparing the fossils found in a southern Namibia site to areas in Newfoundland and in Australia that were around 10 to 15 million years older, they found the variation in species was much lower. 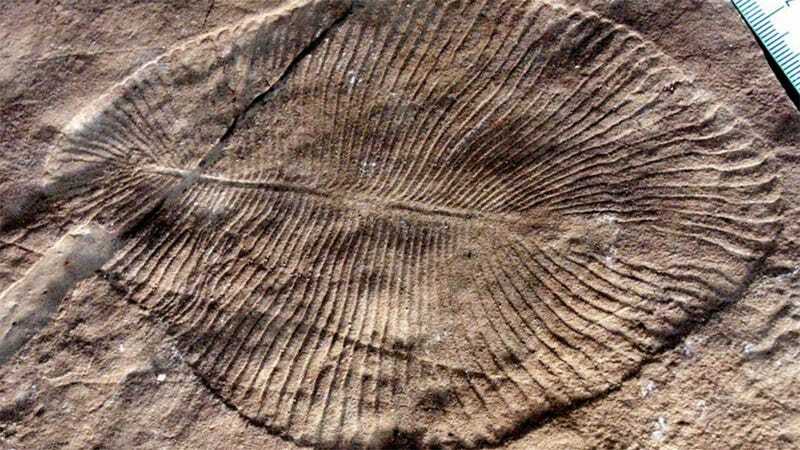 So as the years went on, there was less evidence of Ediacaran life. “These new species were ‘ecological engineers’ who changed the environment in ways that made it more and more difficult for the Ediacarans to survive,” Darroch said in a statement. The new paper is more specific than the 2015 one, focusing on different sites and in the ways these two groups could’ve interacted. A mass extinction is defined by National Geographic as an event that can wipe out from 50 to 90 percent of all species on Earth. There have been around five (with a sixth on the way possibly). The most popular one, or the most studied, is the Cretaceous extinction event, which wiped out the dinosaurs around 65 million years ago. The first mass extinction event has always been tough to study. Ediacarans, which Darroch refers to as the most successful multicellular organisms, don’t leave behind shells, bones, or much concrete evidence. What scientists know about them are based on traces of their shapes found at archaeological sites. What does that mean for us? Seeing how the basic process of evolution can wipe out species, it could be more evidence for a sixth mass extinction, which some scientists believe has already begun. Humans have been changing the environment more drastically than any other species in history. The act of us being here could result in a large-scale event—as long as we don’t wipe each other out first. “The end-Ediacaran extinction shows that the evolution of new behaviors can fundamentally change the entire planet, and today we humans are the most powerful ‘ecosystems engineers’ ever known,” Darroch said.